« Is Toyota’s Image About to Crumble? Panels can fly off during driving because of a bad adhesive. Better to be in front than behind, if the Corvette has a removable roof panel. Chevrolet is recalling more than 22,000 Corvettes from model years 2005-2007 for defective roof panels. It seems that the glue used to bond the panel to the frame fails. In a complete failure, the panel may fly off at speed, crating a hazard for following vehicles or anything in its path. If there is a partial separation, the driver may notice one or more symptoms, such as a snapping noise when driving over bumps, wind noise, poor roof panel fit, roof panel movement/bounce when a door or hatch is closed, or a water leak in the headliner. The problem goes back to march of 2009, and was initially attributed by GM to an improper repair procedure by a dealer in Japan. Subsequent investigation revealed that the problem was more widespread after repairs at many dealers. Dealers will install a new roof panel free of charge. The safety recall is expected to begin during January 2010. 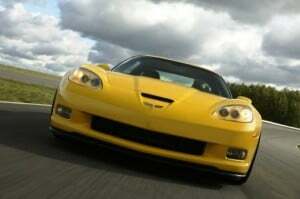 Owners may contact Chevrolet at 1-800-630-2438 or at www.gmownercenter.com about GM safety recall number 090230. Owners may also contact the National Highway Traffic Safety Administration’s Vehicle Safety Hotline at 1-888-327-4236 or go to http://www.safercar.gov. NHTSA number 09V491. This entry was posted on Monday, December 28th, 2009 at and is filed under Automobiles. You can follow any responses to this entry through the RSS 2.0 feed. Both comments and pings are currently closed.